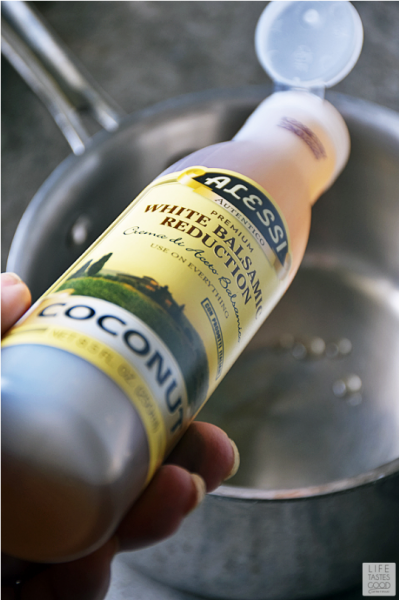 Alessi offers many different flavors of vinegar reductions, which is great for getting creative in the kitchen. I like to use the reductions on my Balsamic Burgers, Strawberry Caprese Pasta Salad, and my Caprese Sandwich Recipe just to name a few. You can find the Alessi products at your grocery store or order online. 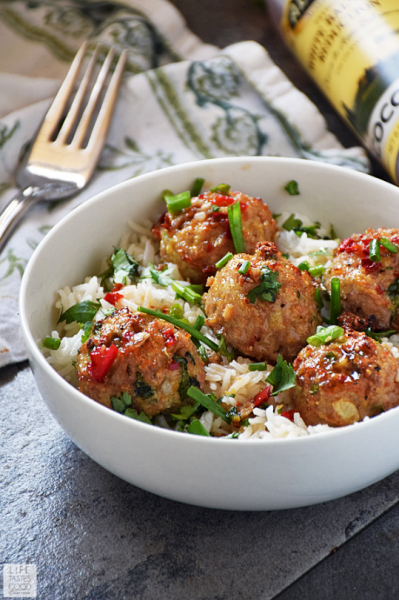 Using Alessi's Coconut Reduction makes the sauce for my Asian Pork Meatballs a snap to throw together for an easy meal perfect for any night of the week. 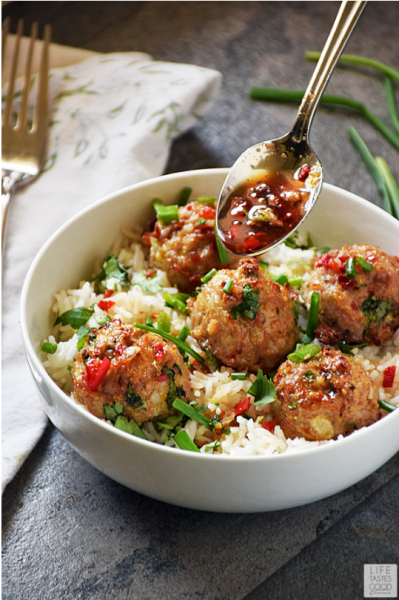 While the meatballs and coconut rice are cooking away, I simply combine the ingredients for the sauce and heat it. I can't emphasize enough how amazing this sauce is y'all. Just looking at the photos has me craving it again. 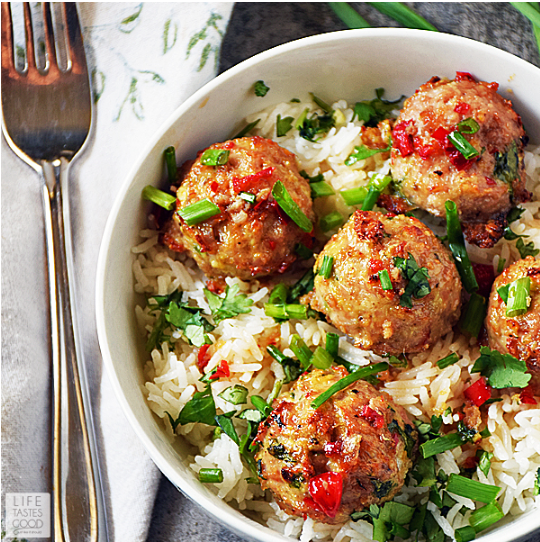 It is definitely going on the menu this week, because I have to have it! It's so good, no one will ever guess how easy it is to make. Seriously! It takes about 5 minutes! Using the pre-made coconut reduction saves a good 20-30 minutes, and I don't have to worry about Don suffering through a sneezing fit. Win win.